A few months ago I wrote a post on how I wanted to give up chocolate, and guess what? I failed. And why did I fail? Because I’m a sugar addict, a complete and utter sugar addict. As I mentioned in my giving up chocolate post, my addiction has got out of control. It’s not just cravings for anything with sugar in, it’s the inability to function without it. Whenever I’ve tried to cut down on my sugar consumption I get headaches, I feel sad and grumpy, until I manage to get hold of anything with sugar in. It would be fine if I could just have a little bit of chocolate, or a tiny slice of cake. But no, I just keep eating it, I’m literally out of control. Once I’ve had my sugar fix I go back to feeling fine…. for a little while, then I’d just feel awful again. I’ve been researching a lot about sugar addiction lately, and everything I’ve read sounds just like me, I’m a classic sugar addict. And often with sugar addiction comes medical problems, sadly some of them I’ve gained. I’m overweight, I don’t sleep properly, I have aches and pains (although likely to be my EDS), and I’ve also had anxiety and depression. Of course no one wants to think of themselves as being horribly unhealthy, but sadly I am, and that’s not really the way I want to live my life. 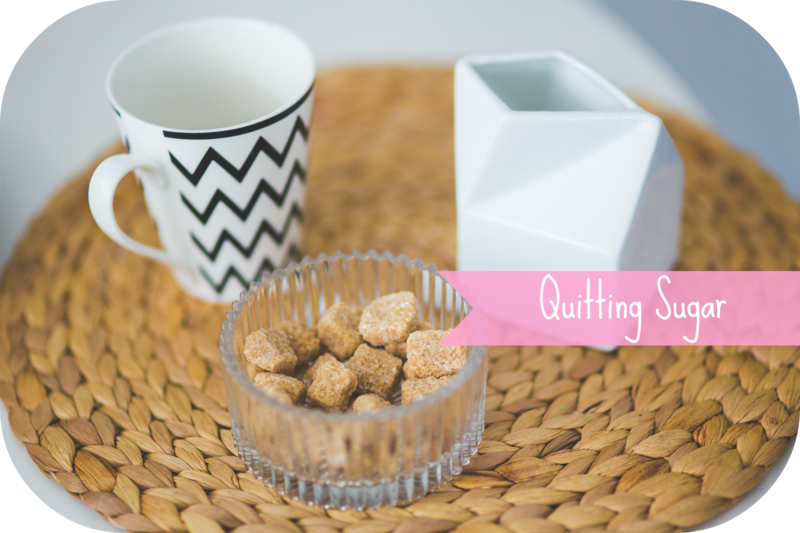 During my research I came across the I Quit Sugar website, and noticed how they were running an 8 week quitting sugar online program, and as it was starting in a few weeks time, I signed up. When I first signed up I was really excited, and then as time went on I started to get a little nervous about how it was going to work, and if I was going to go through any of the withdrawal symptoms. Then the day came round where I was sent my meal plan, and I officially started on Monday. So I’m going completely sugar free, well for 8 weeks at least. But I’m hoping the program will make me feel a whole load better, and I won’t want to eat sugar anymore, and hopefully I’ll feel some of the health benefits. I’m planning on writing little updates each week on the blog, and hopefully I won’t struggle too much! Wish me luck. 2015 Resolutions… Did I Stick To Them?